The only handmade Christmas present I am making this year is finished. 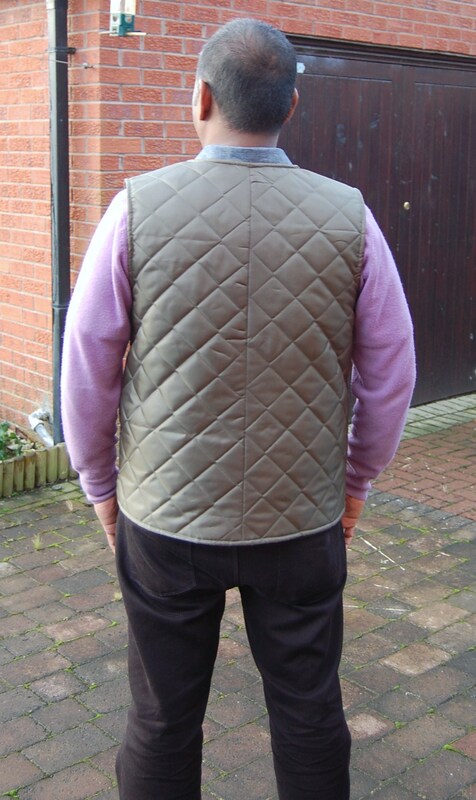 This is a quilted mens bodywarmer for my husband Philip, made using Simplicity 2479. This is such a versatile pattern. Not only are patterns included for men and boys in one envelope, but you also have a choice of two different necklines, two different closure options, shoulder patches, back tabs and 5 different pockets. There is no limit to what you could do with this pattern, and it is also a fairly simple pattern to work with. I went with view B, with a metallic zipper front V-neck, shoulder patches in corduroy and patch pockets with corduroy flaps and brass snaps to finish. 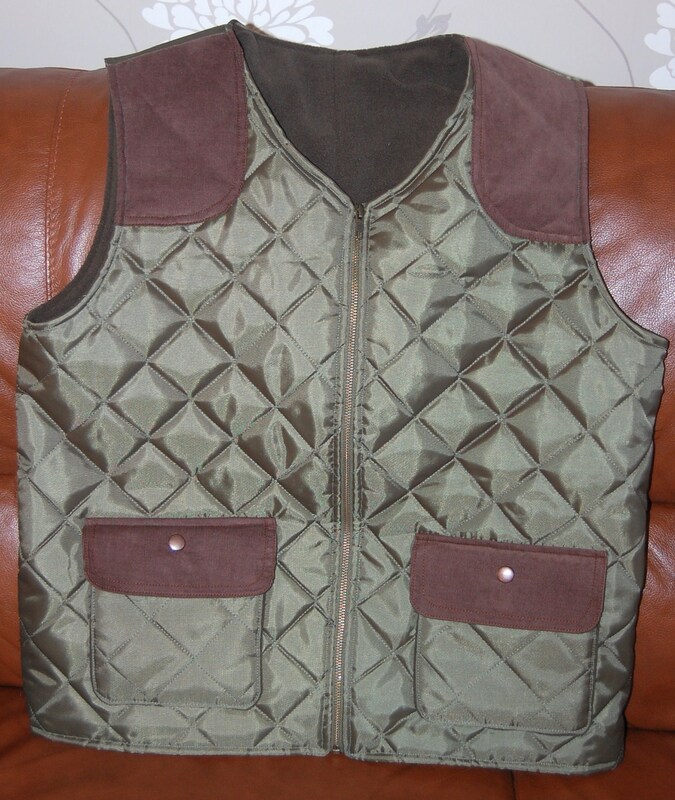 The main body of the bodywarmer is a water resistant quilted fabric and it is fully lined with ex-Barbour fleece. 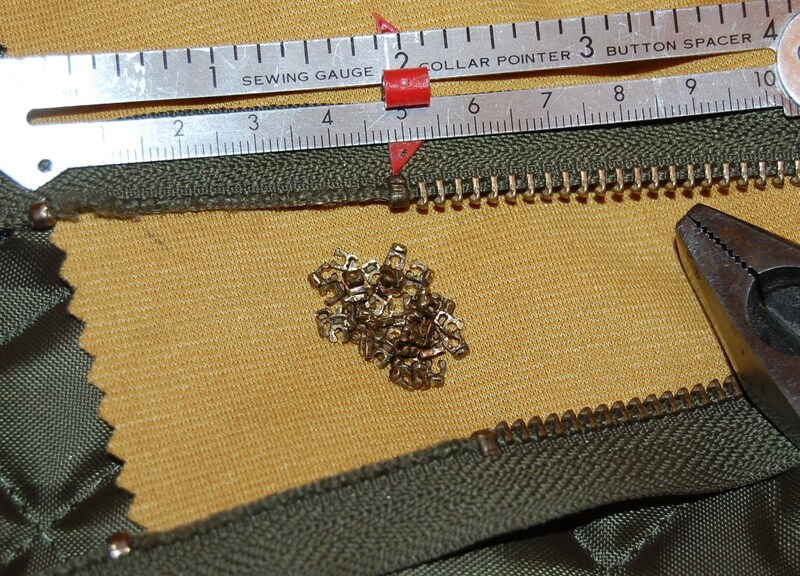 Let me tell you that it was much harder (although not impossible) to remove the teeth from the YKK zipper. Which leads me to conclude that YKK zippers are built to last! 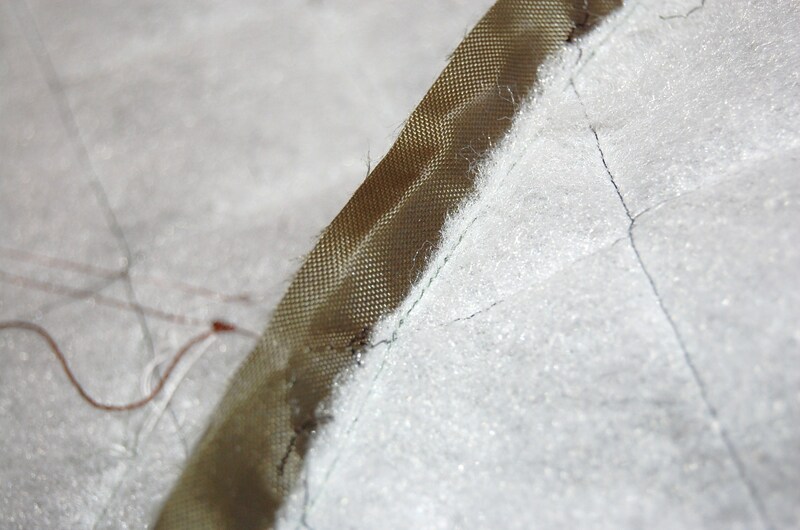 In fact, it was impossible for me to remove the YKK zipper stop at the end of the tape and in the end I removed the zipper stop from the non YKK zip and put that on the YKK zip. 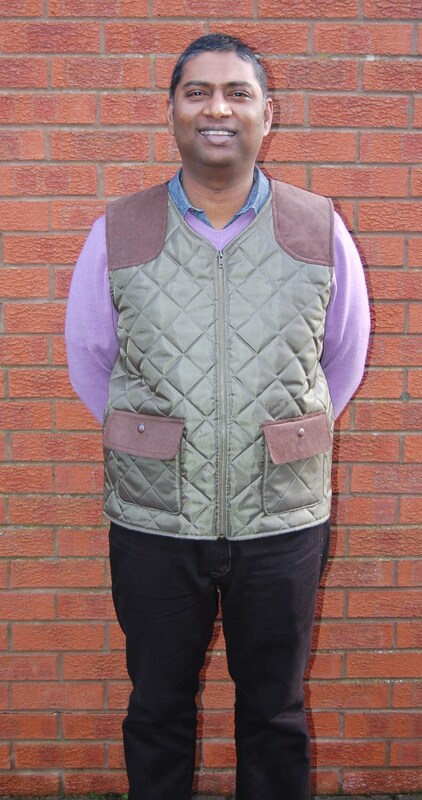 Men’s and boys’ vest sewing pattern with pocket variations. I made view B with pockets from view A. S – L boys and S – XL mens. I cut the size M.
Yes, although this is one of those Project Runway inspired patterns which is really only limited by your imagination. Yes, but I did scratch my head a little about how to sew the sides up. I got it in the end. It does involve hand sewing the lining shut which I generally don’t like, but my lining is a fleece so the hand stitching is not that noticeable. I love the finished garment (and so does my husband). I love all the potential variations. There is nothing to dislike as such. 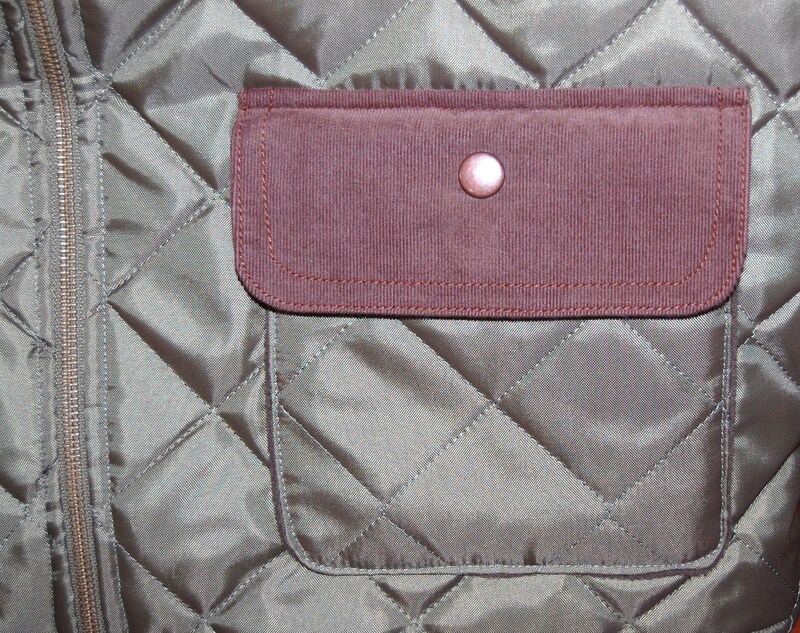 A prequilted water resistant fabric for the outer shell. 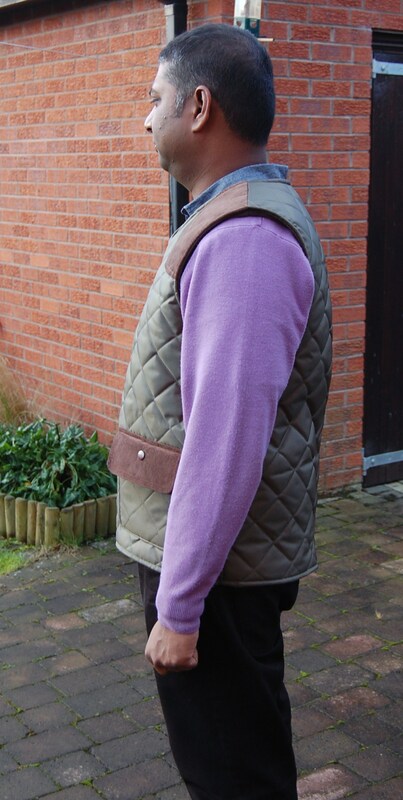 Ex-barbour fleece lining. An antique brass finish metal zipper. Corduroy for the shoulder patches and patch pocket flaps. Brass snaps. 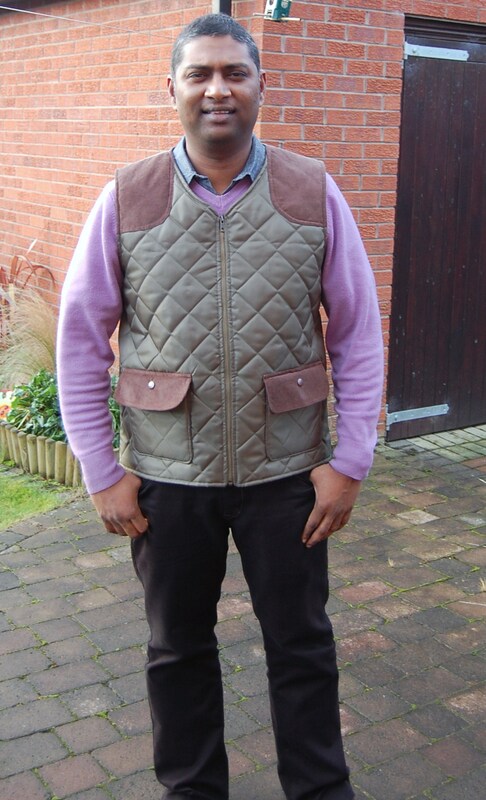 No alterations except for I lined the pockets with the fleece (isn’t men’s sewing easy?!) The fleece does peek out a little around the edges of the pocket but I like it. I did stay stitch the neckline as instructed, but wish I had added some twill tape for more stability. It is gaping ever so slightly. Not sure I would sew it again but I would definitely recommend it. Simple pattern with great variations. It’s a great easy gift pattern to have on hand. This looks terrific!! Such a professional looking garment! And what a supportive and proud star your model is! This is really sharp- nicely done! wow that looks fantastic, I would think it was an item from an expensive menswear store if I saw it on the street. Super nice. And now you can go back to sewing for yourself 🙂 ! Thanks Beth. Yes I am very proud of how far I’ve come! Currently working through the craftsy perfect fit course so hopefully have something to show for that soon! that looks great on him. I bet he loves it! Great work! I would love to see a shapely female version! Thanks raindrops. 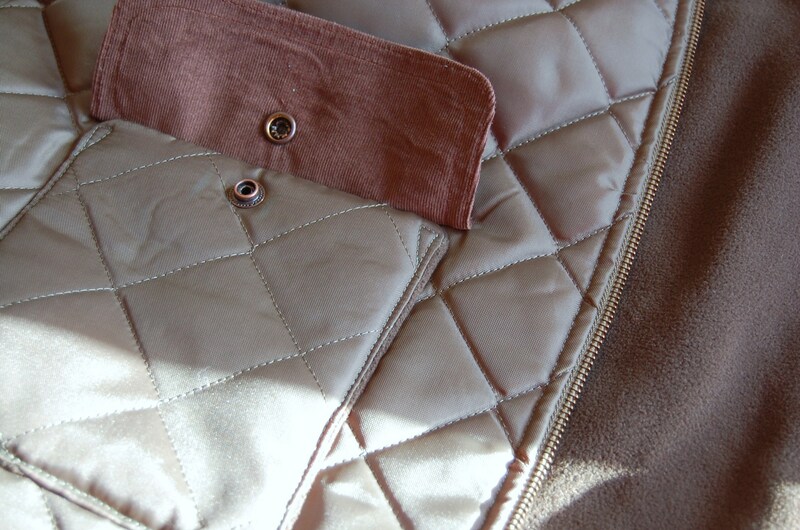 I am actually working on a quilted jacket for myself so look out for that!